The time has come for you to launch your online business. Your website looks great, and your mobile app is polished and performing as it should. If you’re like everyone else, you don’t have these documents just laying around. It’s time consuming and expensive to have a lawyer draft them up for you, so you start looking at your competitors’ pages to see what they’ve posted. At this point, you might even be tempted to copy, paste, and Frankenstein their policies into your own. It’s faster, cheaper, and easier to get your legal policies this way than to hire an attorney, so why not? Before you assemble the Frankenstein’s monster of legal policies, read through these three compelling reasons why you should stay far away from this practice. 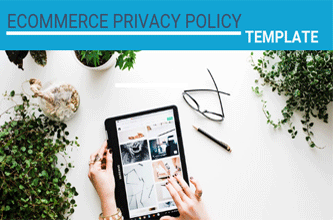 Your policies form a legal contract with anyone who uses your company’s website or mobile app. In order to adequately protect a business from legal challenges, these policies use terms and language that have very particular interpretations, and can also have major legal implications for your business. As you read through your competitors’ policies, you might skim over these large swaths of legalese, thinking that what’s being described is not important in the grand scheme of things. However, if push came to shove and you had to depend on these documents in court, you could face steep legal fees and penalties. If you Frankenstein your legal policies, they won’t be tailored specifically to your business, so it’s likely they’ll have significant gaps in coverage that reduce or even eliminate any potential legal protection you could have. They may also increase your liability if they happen to contradict any previous policies or promises you may have made. The website you’ve copied your policies from may not have consulted a lawyer either. For all you know, they could have put their own Frankenstein policies together. Even Googling any terminology or sections that you’re unsure of won’t tell you whether the right protections are in place for your particular business. Cases that set precedents could alter exactly how that part of the contract is interpreted and enforced. Most lawyers could tell you that, but your search engine of choice probably can’t. Don’t risk the enormous legal fees and penalties that could be waiting in your Frankenstein legal policies. You can’t grow your business if you’re always worried about the ticking time bomb that is your makeshift legal documents. Additionally, if you don’t read through the text completely before posting it on your site, you may miss references to another company’s location, employees, or other assets. You could end up with no legal protection AND subject to multiple costly lawsuits. It’s hard to focus on your business when you’re constantly pulled into court. In the best case scenario, you get a nasty cease and desist from your competitor. If your industry is a small one, then word will get around that you’re stealing material from other companies. Your reputation will take a hit, and you will still need to come up with your own policies. In the worst case scenario, you end up in court for copyright infringement. While it’s rare that someone would go through the trouble of suing you when a simple C&D would probably do the trick, people are people and you may anger the wrong one. Data breaches are big news and cause public backlash and bad publicity. Consumers hear these stories and may start wondering what data you’re collecting and what you’re doing with it. They also want to know whether you’re going to sell their buying habits to ad agencies or transfer their email addresses to shared mailing lists. Savvy consumers will look through your privacy policies to see whether you share, sell, or transfer their data. If users run into red flags while reading your policies, such as references to a completely different company or a lack of information on what you’re doing with their data, then you’re going to end up losing customers. All it takes is one misuse of data or a data breach to damage your reputation to the point where you’re rebuilding it for years. The direct and indirect costs to your business far exceed what you would end up paying for a custom policy tailored to your business. Stop assembling the Frankenstein’s monster of legal policies. While you will save some time and effort now, long-term consequences could be waiting just around the corner. The risk versus reward balance simply isn’t there, especially if you’re stealing terms from your closest competitors. Do things right the first time so you’re not scrambling to save your online business from an army of angry competitors and customers.